This is a great kit. A couple tips: Pay close attention when assembling the transmission. The large gear in the main transmission housing goes a certain way but there weren't any discernible markings to tell. Try both ways - the correct way is much quieter. 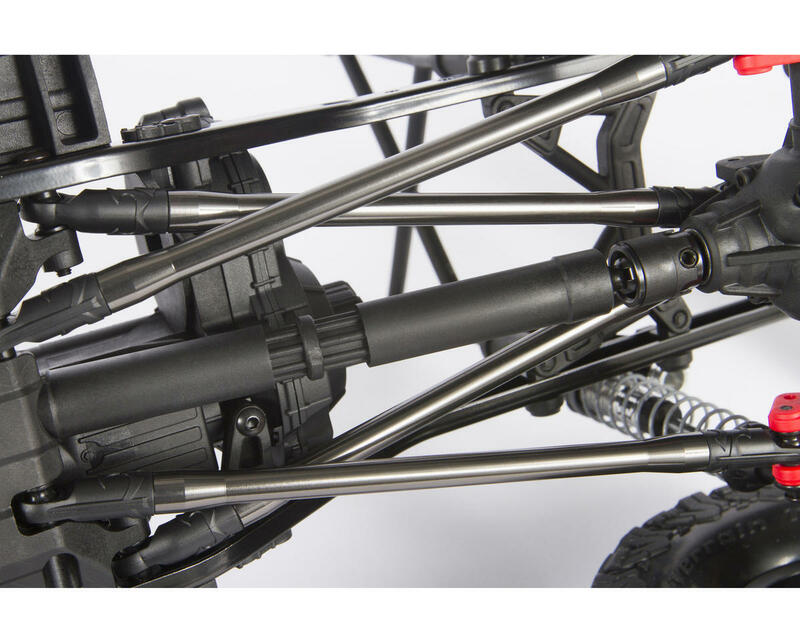 Also (at the time of this review) there is about 1/8 inch play in the spur gear shaft, in and out of the transmission. This is typical and shouldn't affect much. Follow the instructions carefully and it goes together well. Very capable truck right out of the box without any upgrades required. I suggest the Holmes HV500 servo as it's got plenty of torque and speed, and is very quiet. 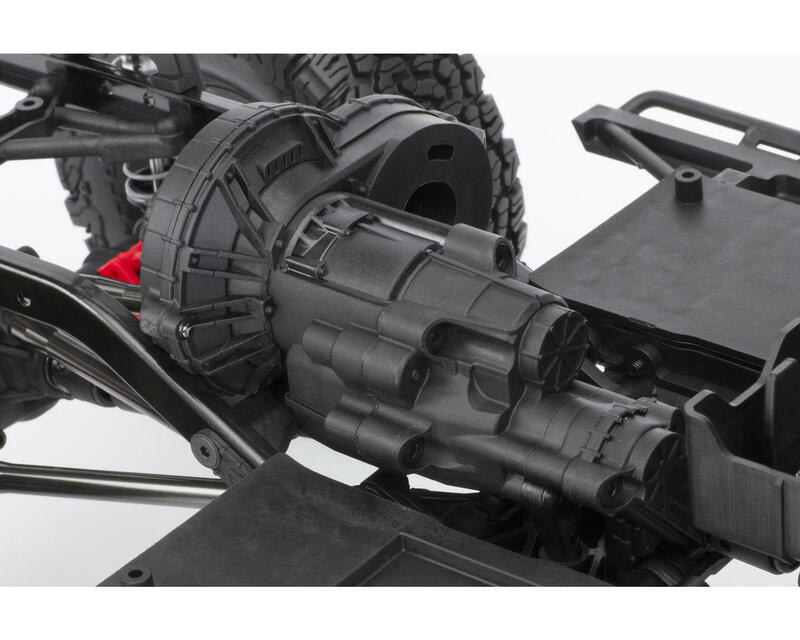 The Holmes BRXL and Torquemaster Expert 35T Motor is a nice combination, but for a cheaper option the Castle Sidewinder 3 and Traxxas 21T 550 motor work excellent as well. Either way, run a BEC for the servo and grab a nice radio, such as the Sanwa MX-V. You'll have a great truck! Completed the kit build over the weekend and am happy I chose the kit over the RTR due to the upgrades that come with it. The aluminum links and rod-ends are really nice, along with the detailed body pieces. Added a Savox servo, SSD c-hubs, and MIP axles along with the rtr esc/35t motor. 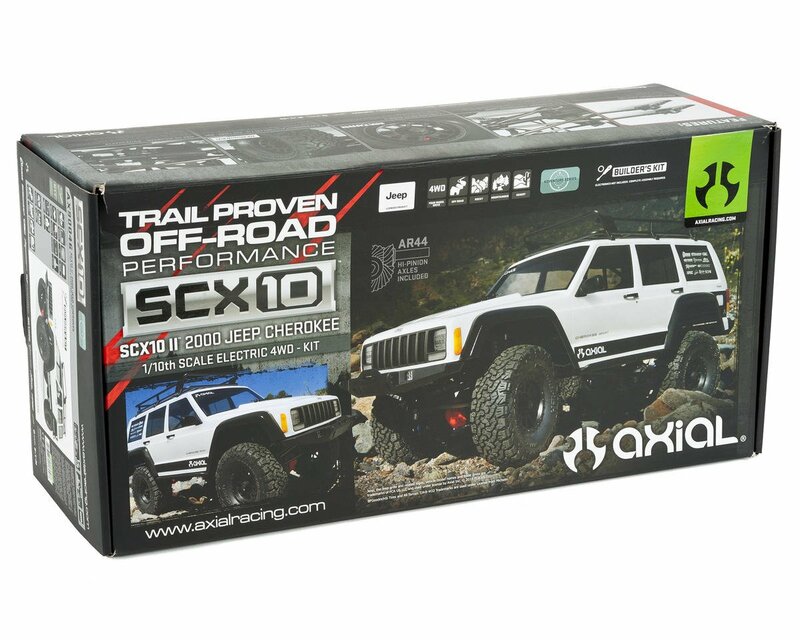 It's more capable than the original scx10 and would recommend it. Make sure to use some good tools when building; the screws still strip easy. This was my first ever kit and it was a pleasure to build. 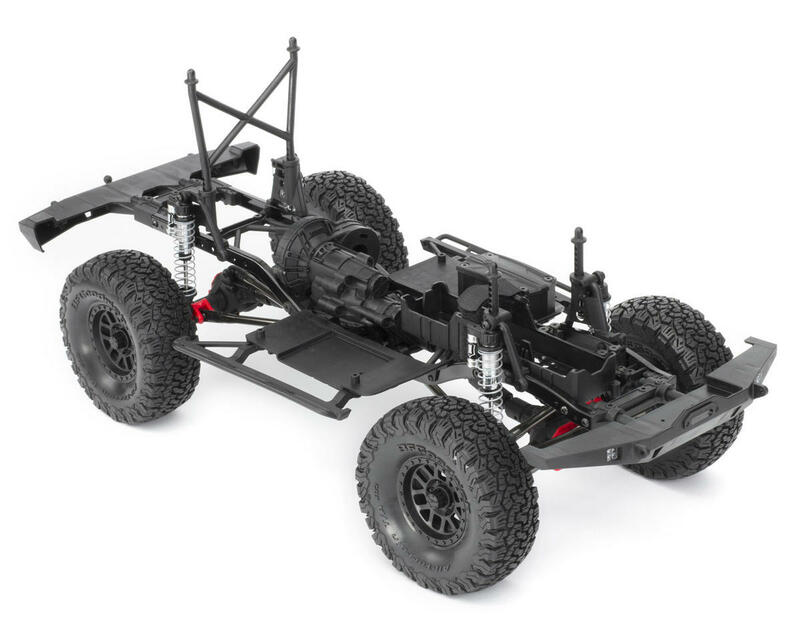 I would recommend this kit in particular to any newbie kit builder because this model overall is very simple compared to other platforms like race buggies etc. My only real complaint is that the plastic servo arm is basically a throwaway. Any high torque servo will make short work of it and strip it out. Plan on getting an alluminum or steel piece for whatever spline servo your planning on running. My second complaint is that the shocks really need to be bled and setup perfectly for then not to leak. I ended up having to use some tire slime on the o-rings towards the bottom of the shaft to get a better seal. But really besides that, the truck needs no upgrades out of the box and is insanely capable. I also ended up running the stiffer springs in the front, which is the opposite of what the directions say, but with my heavier battery I was getting to much sag in the front, but with them flipped around it's perfect. For electronics I'm running the Holmes hobbies shv500 servo, castle Mamba x esc with slate brushless motor. And a sanwa mt4 transmitter to round it off. All powered by a gens ace 3s 5000 mAh battery... This thing crawls for an hour or more before low voltage cutoff kicks in. In summary if you're on the fence about this truck, pick it up. 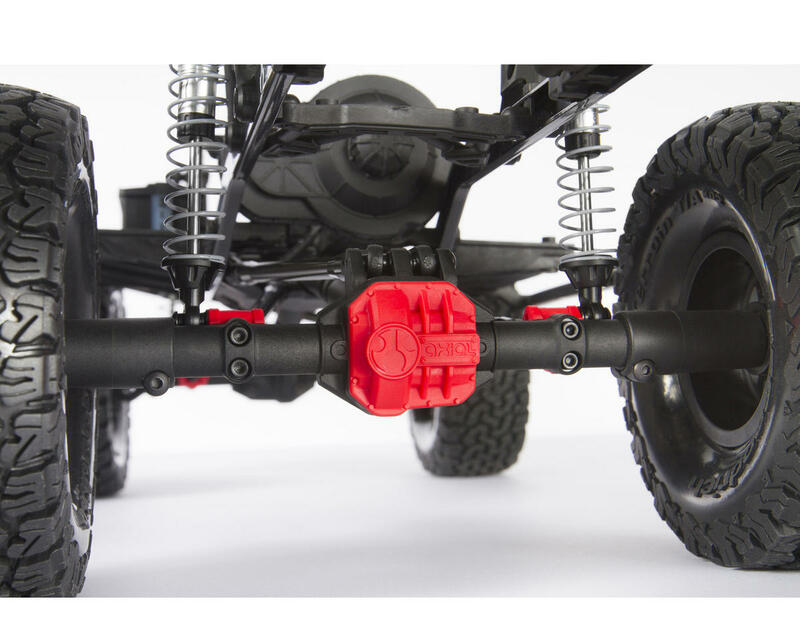 I also have a trx4, and while I feel they are equivalently capable, I think the axial build overall is more solid. Awesome kit!!!!!!!!!! 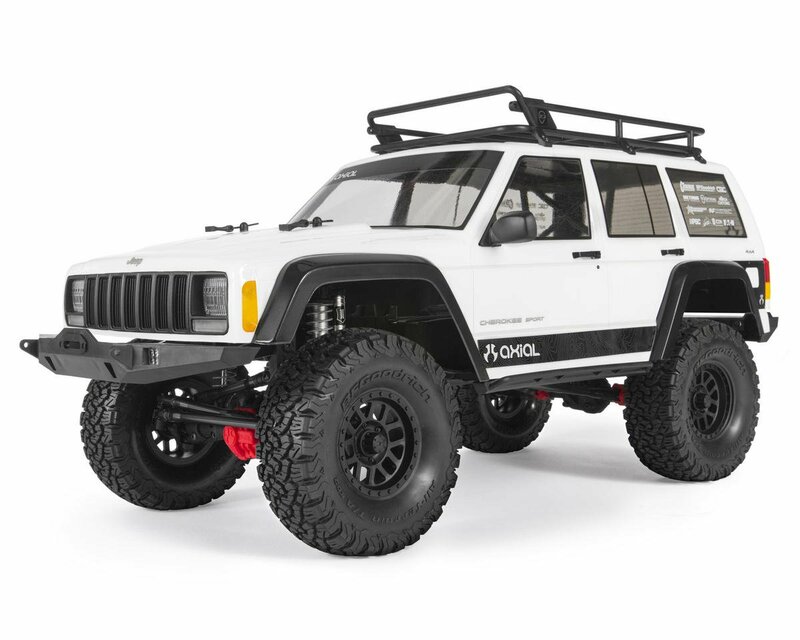 Crawler handles great right out of the box. It was fun to build and right out of the box I ordered the parts for the two speed conversion which honestly is a huge reason I wanted this kit over the axial. The instructions are not the clearest thing in the world to read but if you have built kits before you will be fine. 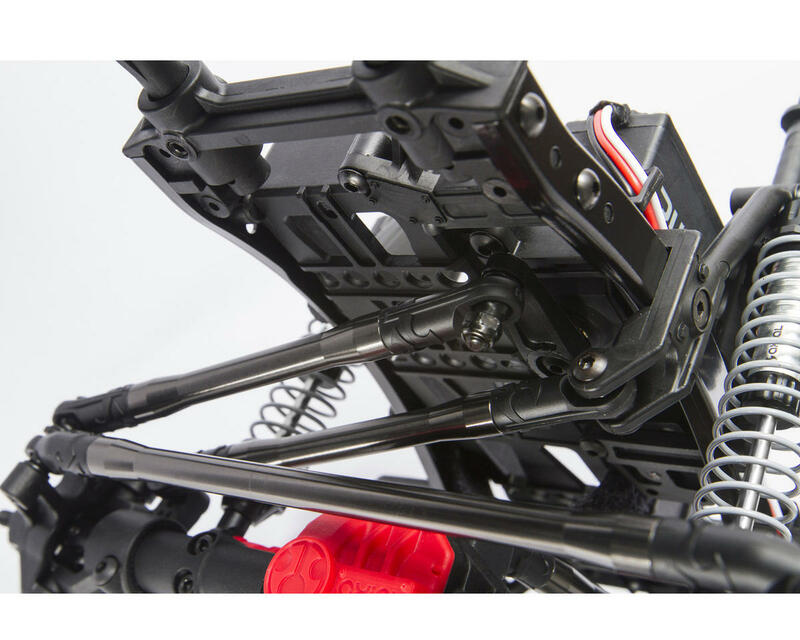 The adjustable length of the chassis just makes this kit that much better in my opinion where as the axial you have no choice. I'm running the Novak eiger pro brushless/brushed esc with a Novak terra claw 35t motor. And a savox monster torque servo for steering which is over kill by far.